Looking to fill up your iPhone or iPad with free apps? Great apps go free on a regular basis, just like these 27 apps. 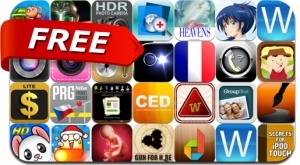 This apps gone free alert includes Burn The Corn, Fractal Combat, Mouse House, Psychoban, Alt Photo, effectly, GroupShot, WallBoard, Dialer+, Anime Music Radio, My Dashboard and many others.